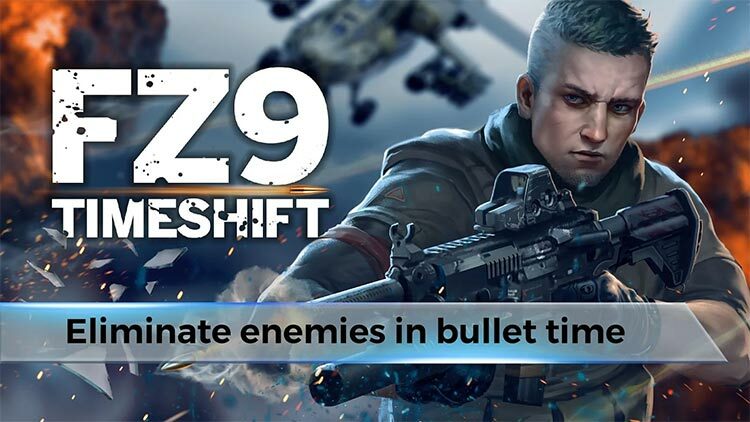 Get ready for mindblowing “bullet time” shootouts in FZ9:Timeshift! Accompany Mak, a lost American soldier on a quest to eradicate the AS -- a terrorist organization. 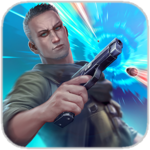 Pick up rifles, machine guns, and rocket launchers to eliminate enemies with the aid of bullet time. Observe carefully, take aim, and BANG! FZ9: Timeshift features your favorite weapons -- such as the Glock, AK-47, M4A1 -- and an in-depth upgrade system that allows you to create your own unique weapon in the Armory. 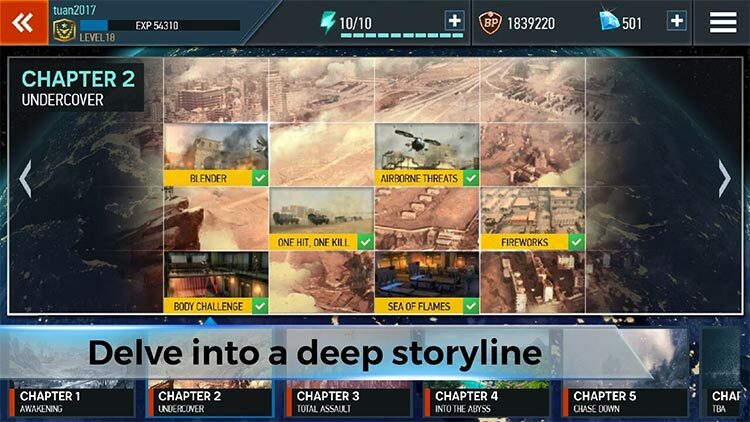 In addition to story missions, take on new challenges in three other game modes: Compete with other players in PvP, gather valuable resources in Cycle Missions, and get ready to be surprised with unique tests in the Weekly Challenge. Embark on a variety of daring missions -- and protect the world from terrorists! 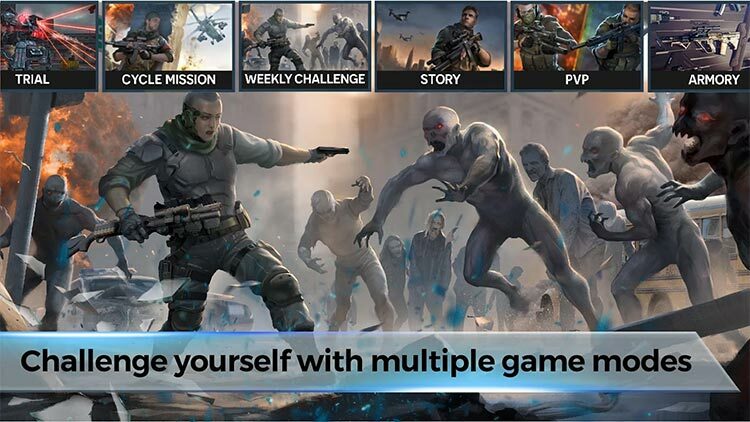 Whether you’re already enamoured with mobile FPS games or you’re skeptical after having been disappointed by early attempts for mobile, it’s definitely worth giving FZ9: Timeshift a try. This is especially so if you’re a fan of the Matrix. 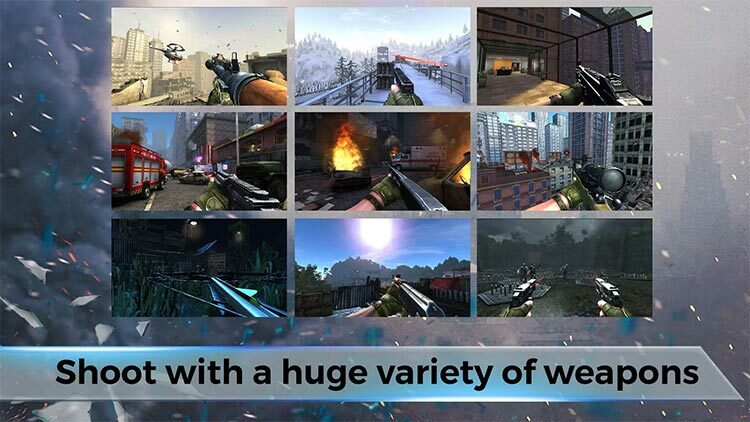 It’s got the cool graphics and music, a strong story, neat gameplay and multiplayer mode – really everything you could want in an FPS. FZ9 makes surprisingly good use of its slow motion mechanics to make you feel awesome in a variety of situations. 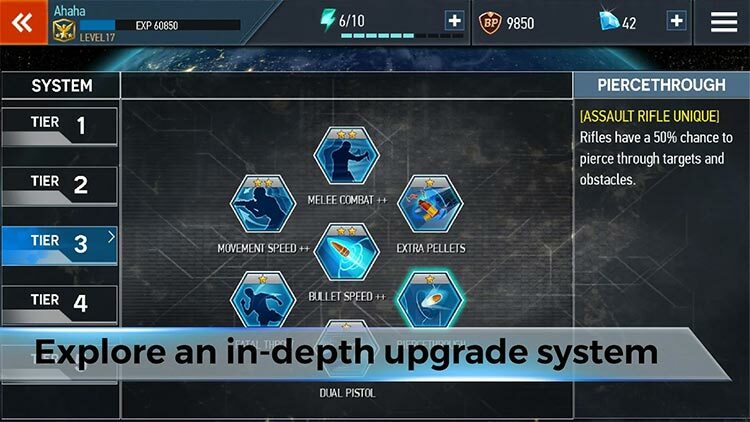 Though it does have some annoying (though typical) free-to-play mechanics, you likely won't be thinking too much about that while you're playing. Instead you'll be focused on how to best run across a glass floor as enemies are shooting it out beneath you, all while you're grinning from ear to ear.